Middelfart Wastewater Ltd. takes care of the sewers and the wastewater treatment in the western part of the Danish Island of Funen – in the municipality of Middelfart. The company treats the wastewater from domestic household and industries from an area covering 300 km2 with approximately 37,500 inhabitants. The company operates 700 km of sewers, 6 wastewater treatment plants, 215 pumping stations, 80 rainwater and sewage basins and 14 tertiary lagoons for sludge treatment. Middelfart Wastewater thus has many years of experience in operating sewer systems and wastewater treatment plants. Furthermore the company puts many efforts in developing adaptation responses to counter the damaging effects of climate change from flooding, sewer overflows etc. Innovation is a key word for the company and it is engaged in a number of development projects in cooperation with local authorities, local citizens, other utilities, educational institutions, consultants, and suppliers. Middelfart Wastewater Ltd.’s mission is to present the various possibilities of using rainwater as a resource as opposed to considering it as something that simply needs to be hidden in sewers. The collaboration between the utility and the City is well-adjusted and based on a shared vision and collaboration. 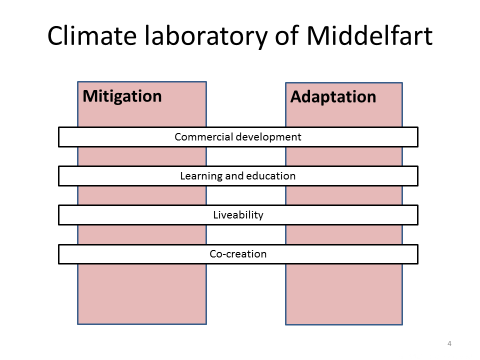 “The Climate Laboratory in Middelfart” is an overall Liveable City strategy based on ‘Urban Development by Climate Adaptation’, thus addressing this change of paradigm. The co-creation with citizens, architects and engineers has proven to be an important platform that helps ensure innovative solutions and a strong local engagement and sense of ownership. In Middelfart, the mission is to present the various possibilities of using rainwater as a resource as opposed to considering it as something that simply needs to be hidden in sewers. The aim of using rainwater as a resource is partly to reduce the risk of flooding by optimizing the rainwater management and partly to contribute to creating more green and liveable cities. The key is to have the right tools and models – like cross-sectorial planning tools and hydraulic modelling – to ensure the right prioritization of efforts and sufficient designing of the various rainwater management solutions as well as involving the right stakeholders at the right time throughout the process. An example is the Climate City project, where in this and other projects, Middelfart Wastewater ensures proper treatment of rainwater to allow for infiltration to the groundwater aquifers or discharge into the local water environments such as streams and the sea. Middelfart Wastewater Ltd. is regulated according to the Danish legislation.  Additionally, the utility is subject to national benchmarking by the Danish Water and Wastewater Association. The collaboration between the utility and the City is well-adjusted and based on a shared vision and collaboration. In the utility’s board, four politicians from the city government ensure that the municipality and the utility are aligned in terms of strategy and direction towards a shared vision. To support this line of thought, the utility’s CEO and the municipality have regular meetings. The driver for this strong governance structure is the need for a close coordination between city planners and engineers from the municipality and the utility. As all other utilities in Denmark, Middelfart Wastewater Ltd. is a monopoly, which means that the Water Division under the Danish Competition and Consumer Authorities monitors and regulates the utility. The Water Division creates fixed price ceilings and efficiency demands for all Danish water companies to ensure fair and low water prices. For the same reasons, the Water Division benchmarks all water utilities in Denmark on a yearly basis. Thus, Middelfart Wastewater Ltd. relies on a self-sustained financial principle, in which surplus is not allowed. In other words, the accounts have to break even. One of the greatest social and financial challenges of the future is to ensure climate resilient towns and cities. This calls for a pronounced paradigm shift within the fields of urban development and wastewater management. “The Climate Laboratory in Middelfart” is an overall Liveable City strategy based on ‘Urban Development by Climate Adaptation’, thus addressing this change of paradigm. The Climate Laboratory has been approved as a signature activity by the City Council. The utility is working together with the municipality to achieve this – especially on the adaptation measures. Integration of urban development and climate adaptation poses a challenge to the traditional co-operative agreements between the municipality and the utility. Therefore, developing new binding projects related to co-operation and business models for the two parties involved has been a prerequisite for The Climate Laboratory Strategy. In the Climate City project, with a total budget of 75 mio. DKK (10 mio. Euro), there is a partnership contract between the municipality, the utility and the private philanthropic fund Realdania. The contract describes the responsibilities of the three partners. The expenses so far are shared between the fund, the municipality and the utility in a way that reflects the legal requirements in Denmark. As part of the Climate Laboratory Strategy, a number of large-scale innovative climate adaptation projects are presently being developed in the Danish city of Middelfart. “The Climate City” is considered as one of the most beautiful climate adaptation projects in Denmark. Through the strategic approach ‘Urban Development by Climate Adaptation’, the city of Middelfart considers climate adaptation to be both the main driving force behind and an important source of funding of future urban development. The objective of “The Climate City” project is – through a process design based on an architectural focused approach – to generate innovative solutions that integrate climate adaptation with urban development through focusing on multifunctional design of urban spaces and structures. Strategically, by managing rainwater on the ground as a supplement to pipes underground – thus developing a city that is both greener, healthier and more fun. A prerequisite is considering rainwater and seawater a resource. The vision for the project is that both the overall process design, with an underlying DNA of co-creation and multiple value creation, as well as the concrete solutions and the principles behind it will be a source of inspiration – both nationally and internationally – in developing resilient cultural heritage cities. In order to move towards the vision of liveable cities, a redefinition of roles and responsibilities between expert professionals and citizens is needed regarding both the developmental process design and the actual design and maintenance of the future climate adapted water management systems. This vision implies an innovative dialogue-based project development approach and a more active role of citizens. This is already underway in the project. “The Climate City” project is based upon a broad-spectrum analysis of the project area – covering both technical, architectural, biological, cultural and historical assessments as well as input from interdisciplinary workshops and participation of local citizens. The results of this process have been the identification of various challenges, focus areas and architectural qualities. In the mindset of circular economy, these solutions create value to both the utility and the local communities in a way that traditional pipe-solutions never could have achieved. Rainwater is to a large degree infiltrated or otherwise used locally instead of being transported in sewers to the wastewater treatment plant or dismissed by combined sewer overflows to the sea.  Based upon the results of the analysis “The Climate City Architectural Competition” was announced in June 2014. The competition is used as a frame for an architectural focused approach to the co-creation of future resilient cultural heritage cities. The winning project demonstrates innovative solutions to the question of how to achieve environmental, economic and social / recreational added value to the large investments in climate change adaptation that utilities and municipalities are required to make within the next 50-100 years. The project covers an area of 45.000m2. Construction will be completed by 2018. 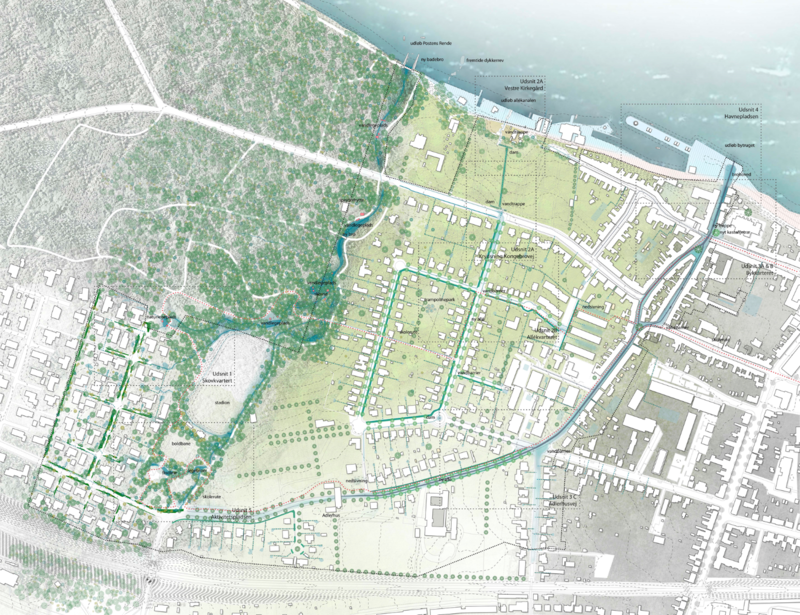 The winning project recreates and uses the natural water corridors in three different parts of the area, each with its own architectural expression. All rainwater from paved areas and 25 % of the roofs is disconnected from the sewers and handled locally or directed in water corridors to the sea. “The Climate City” project is based on process designs that focus on co-creation and multiple value creation. The co-creation of citizens, architects and engineers has proven to be an important platform that helps ensure innovative solutions and a strong local engagement and sense of ownership. This is facilitated with activities like workshops, public consultation, meetings, focus group interviews and “walk and talks” in the area.